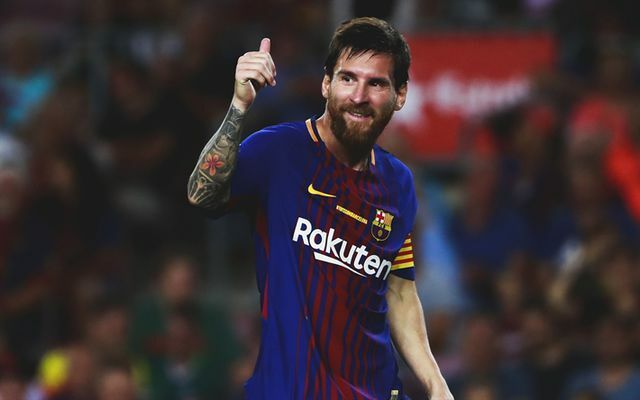 Lionel Messi has given a lot to Barcelona in the 17 years he’s been at the club, and reports continue to suggest he has an influence on transfer talks. It’s understandable in many ways given the status he has at the Nou Camp, scoring 527 goals in 609 appearances while winning almost every prize available to him. In turn, as he prepares to turn 31 next summer, he’ll undoubtedly want to see Barcelona stay competitive and ensure that he can continue to pick up trophies through to the end of his playing career. Unveiling Philippe Coutinho earlier this week would have been a huge boost, but according to Don Balon, as re-reported by The Express, he’s not in favour of a move for Atletico Madrid star Antoine Griezmann. It’s claimed that the Argentine icon sees it as an “unnecessary” signing, and in his defence, he may well have a point considering Barca now have him, Luis Suarez, Ousmane Dembele, Coutinho and Andres Iniesta to play in the more advanced roles, not to mention bit-part players like Gerard Deulofeu. With another €100m needed for Griezmann, as per the report, which makes sense considering that’s the release clause in his contract, that’s a lot of spending from the Catalan giants. As a result, Messi may well be right on this one if he is trying to convince the club not to sign the Frenchman, with the defence arguably in more need of strengthening in the short term given the lack of options behind Gerard Pique and Samuel Umtiti. Meanwhile, Don Balon also claim that Messi no longer wants Arda Turan at the club, as along with some of his teammates, they are no longer speaking with the Turkish attacker. In truth, he’s surplus to requirements now anyway given he hasn’t featured all season and Ernesto Valverde has managed just fine without him, as evidenced by the league table and their Champions League progression. In turn, it would come as no surprise to see Turan leave the club soon, and with the report suggesting that his teammates don’t have faith in him to add anything, it would seem as though his days at the Nou Camp are numbered.